"I recently bought a new gas range, and with only one day's notice, Proulx came out to my home and installed it. It needed to be converted to propane usage, which was done without a hitch, and I came home to the pleasant aroma of baking going on. Thanks for yet another job well done!" "Thanks so much for working with me to set up a service call on our fireplace. Your service technician arrived within the promised time slot, had all the necessary equipment and wasted no time in completing the job. His work was impeccable and thorough. He also offered many hints on troubleshooting in and around my fireplace which will prove most helpful in the future. He brings great credit to your company." Proulx sells, installs and services a complete line of home heating appliances and air conditioners. 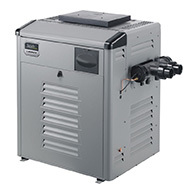 In the market for a new furnace, boiler, water heater or air conditioning system? 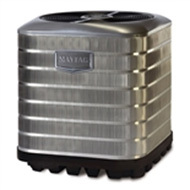 We recommend purchasing the one with the highest energy-efficiency rating. While highly-efficient heating appliances may cost a little more initially, the energy savings they deliver will quickly save you money on your annual heating costs and soon pay for itself. 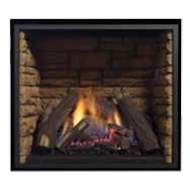 Proulx also offers decorative fireplace log set inserts and propane burning hearth stoves. We carry all major brands.